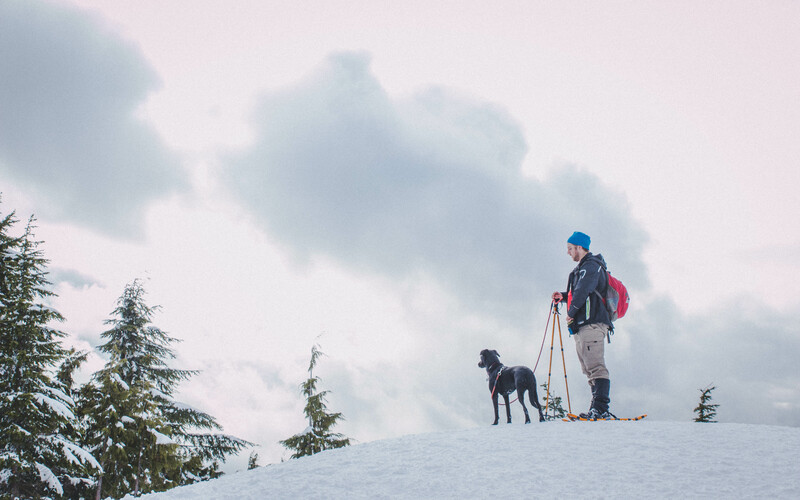 Dog Mountain on Seymour Mountain is a great snowshoe hike in Vancouver. 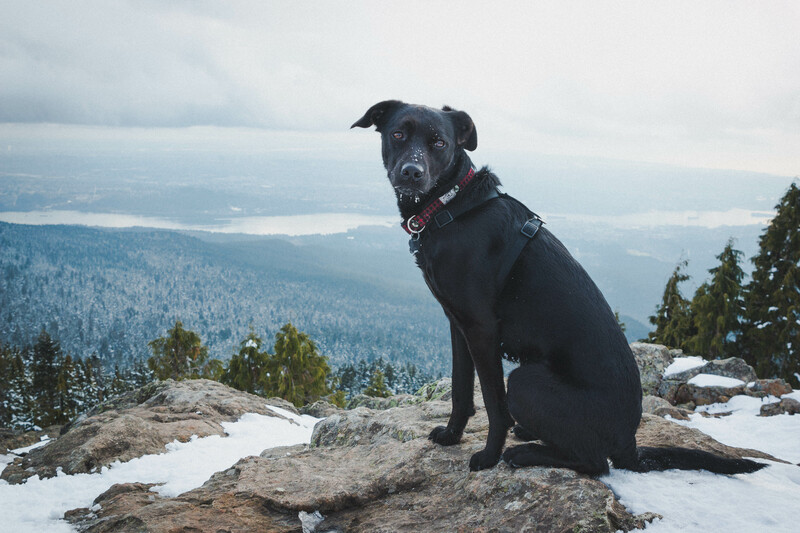 It has great views, is well-marked and only takes 2-3 hours to complete, making it a great beginner snowshoe trail for human or dog. I found the winter trail is actually easier than the summer trail, mainly due to the uneven path of tree roots in summer. We did this trail on February 25th, 2017 and the snow on the trail was pretty packed down. You don’t need snowshoes to be able to do it and we even saw a few groups hike in regular shoes. However, spikes or some sort or traction device would definitely be helpful. 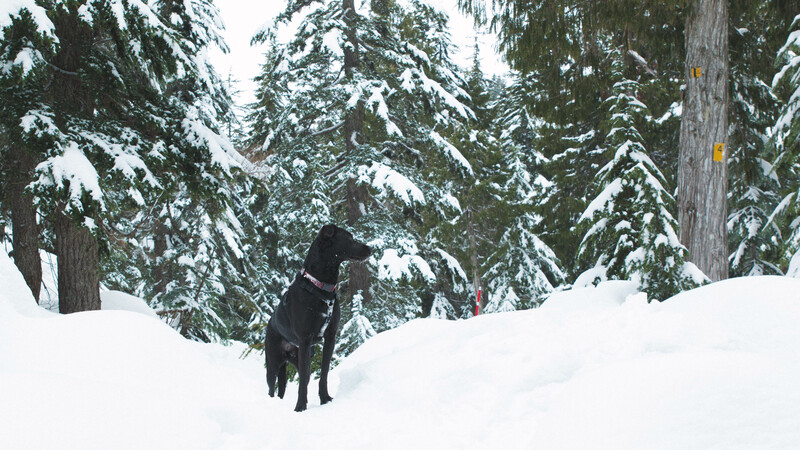 I was glad we ended up bringing our snowshoes as we could venture off into some fresh powder with Rey. 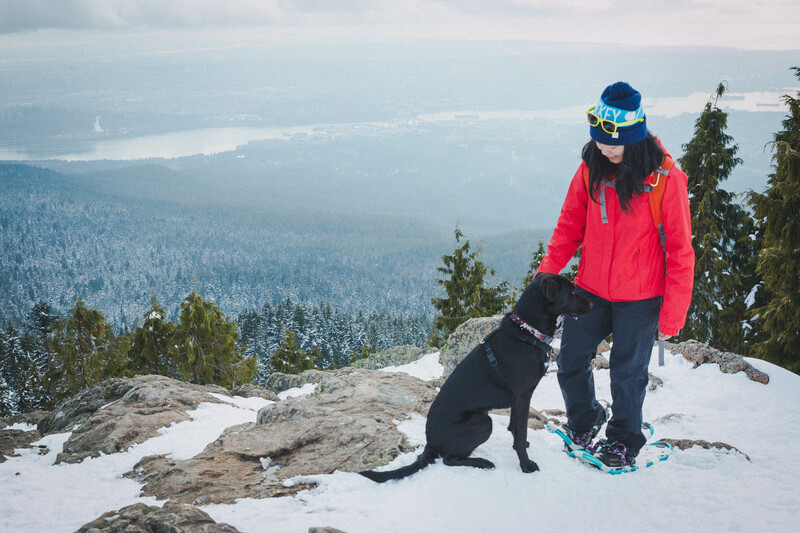 If you don’t own snowshoes, you can rent them for a good price at MEC. 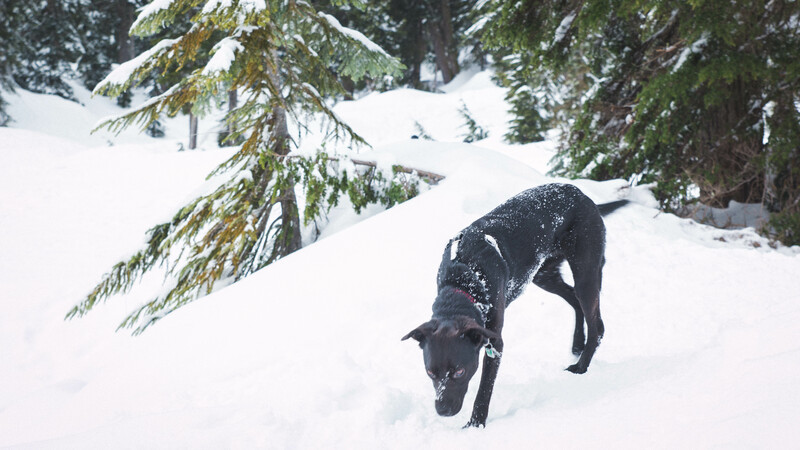 We had as much fun watching Rey as she had jumping around in shoulder deep snow. 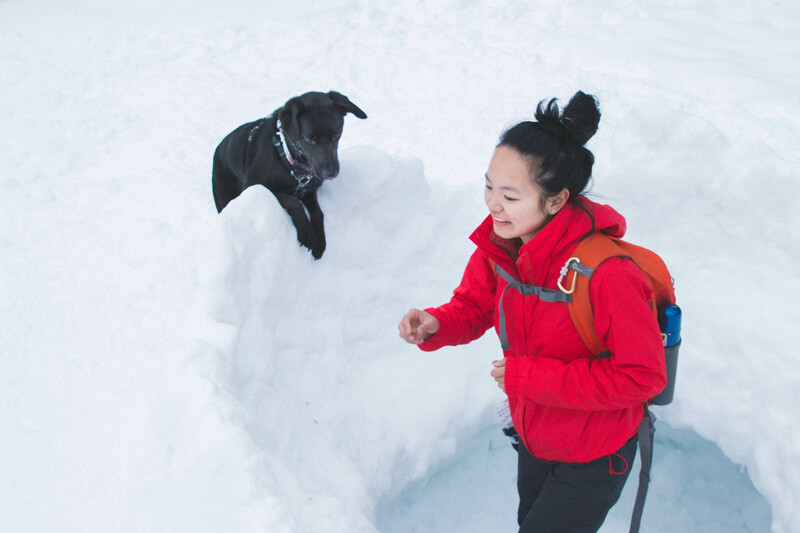 We even found a snow fort on the trail! However, Rey didn’t want to climb through the entrance at the bottom or jump in from the top. Here are a couple more shots at the peak. I forgot how great of a view you can get from hiking only 2 hours! Photos: All photos taken by Josie and Nick.